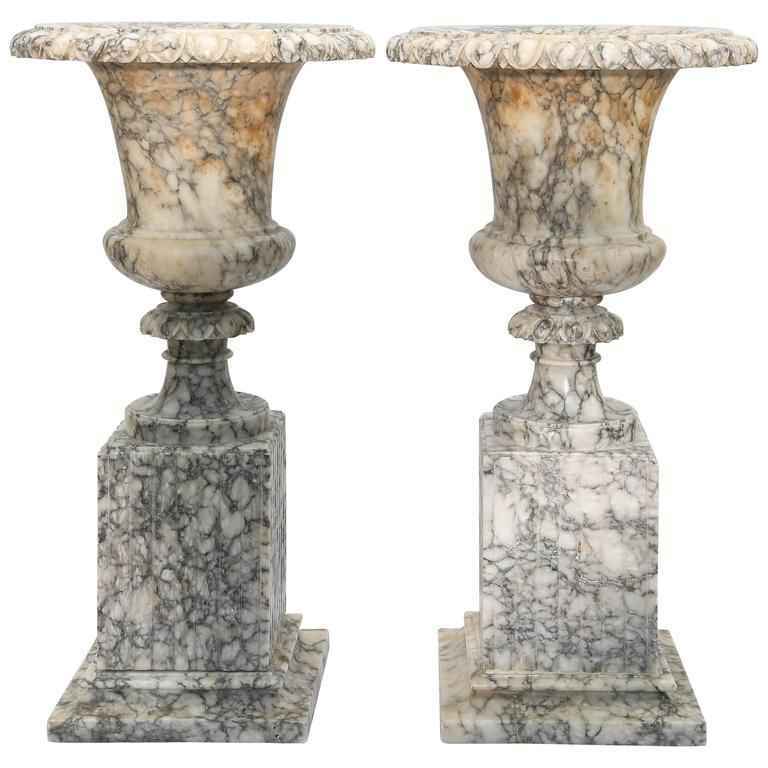 Pair of campana form urns, of alabaster, on stands, both with egg-and-dart decorated rims and socles, on round foot, set upon graduating, fluted, square plinths. Pair of campana form urns, of alabaster, on stands, both with egg-and-dart decorated rims and socles, on round foot, set upon graduating, fluted, square plinths. CONDITION: Very good antique condition. Wear consistent with age and use.